Without the obsessive regime of self-instruction and direct observation from nature that typified his Nuenen period, it is doubtful we would know Vincent van Gogh today. A late starter, the almost 30-year-old van Gogh made up for lost artistic time in a fever of drawing and painting that culminated in his first masterpiece, 'The potato eaters', finished in 1885. Between December 1884 and the completion of this rustic nocturne, he produced forty bust-length portraits of peasant types: a series of Heads of the People as it were. Van Gogh's socialist sympathies are apparent in every one. Vigorously brushed and soberly coloured, they take substance from the darkness around them. Fiery highlights on flesh and fabric suggest lamplight. Indeed, 'The potato eaters' is lit by paraffin. The present brooding study in all likelihood shows Antonius van Rooij, paterfamilias of the group. 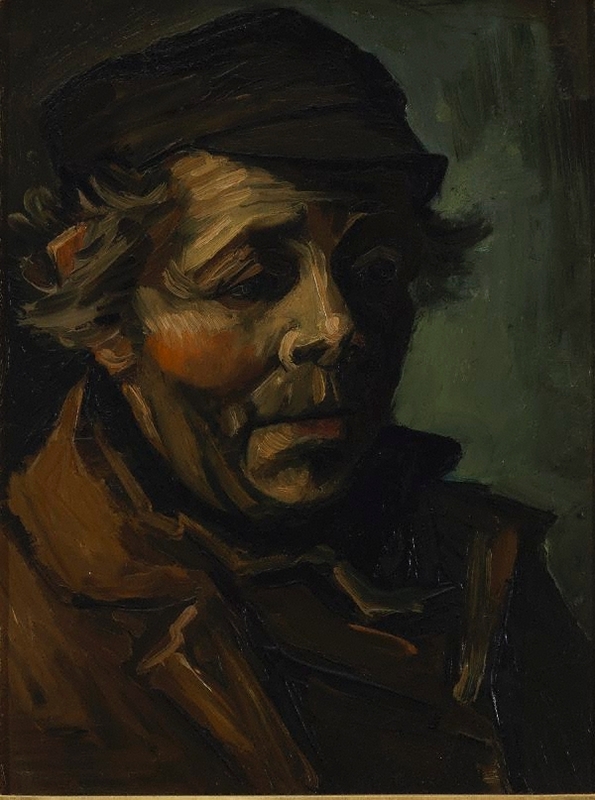 Van Gogh yearned to share in the social simplicity and moral certainty of this man. That he could not do so, though painful to him, left open the way to art. Hilmar Reksten, pre 02 Apr 1990, Norway, Sold Christie's London, 2 April 1990 'Impressionist and Modernist Paintings and Sculpture', lot no. 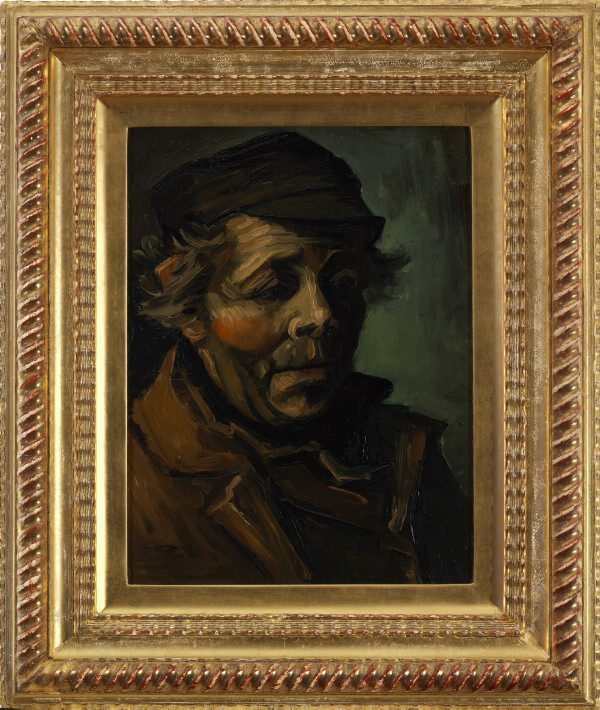 19, 'Property from the Hilmar Reksten Collection, sold on behalf of the bankrupt estate of the late Hilmar Reksten'. Art Gallery of New South Wales Foundation Annual Report 1997 , Sydney, 1997, 16 (colour illus.). Kevin Connor, Look , ‘The art that made me’, Sydney, May 2016, pp 12–13: p 13, col illus p 13. J.B. de la Fialle, The works of Vincent Van Gogh, his paintings and drawings , London, 1970, 96 (illus.). cat.no. 160a, as collection of Mrs E. Mahe-Williame, Aix-en-Provence. Renée Free, AGNSW Collections , 'The Western Heritage, Renaissance to Twentieth Century', pg. 108-172, Sydney, 1994, 140, 141 (colour illus.). Jan Hulsker, The complete van Gogh; paintings, drawings, sketches , Oxford, 1980, 129 (illus.). cat.no. 563, dated as December 1884, whereabouts unknown. Bruce James, Art Gallery of New South Wales handbook , 'Western Collection: Paintings and Sculpture', pg. 17-77, Sydney, 1999, 46 (colour illus.). Art Gallery of New South Wales Foundation: Celebrating 30 years of art acquisitions , Sydney, 2015, p 12, col illus p 12. Michael Wardell, Look , 'Foundation building', pg.14-17, Sydney, Sep 2004, 15.